EXCERPT FROM THIS ARTICLE: *Highlands Elementary School located in Edina, Minnesota—one of the state’s highest ranked elementary schools based on standardized tests—has instituted several initiatives on racial inequality and social justice. Kindergarten classes, for instance, spend weeks participating in the “Melanin project,” which involves, among other things, coloring images of their hands which were attached to a banner reading “Stop thinking your skin color is better than anyone else’s!” Meanwhile, first graders were to write poems about social justice and fourth and fifth graders participate in a performance project that links the anti police and racially divisive Black Lives Matter movement with peace. The principal’s page on the website of Highlands Elementary School in Edina, Minnesota, effusively praises Black Lives Matter and reproduced the entry on the BLM’s own website which states, “We are committed to disrupting the Western-prescribed nuclear family structure requirement by supporting each other as extended families and ‘villages.’” The school principal also reported on her page that “students of color” had experienced 291 “microaggresions” in a 90 day period, meaning that they had been encouraged by the school’s racialized atmosphere to convert imagined slights all around them into instances of white racism and to inform on their fellow students. So many are now asking; What is happening to our country? The coarsening of our society is now evident – divorce rates are soaring, families are crumbling and Christianity is being attacked. Home schooling of children is increasing because many parents are dissatisfied with the public schools as they feel that the schools are providing inferior education and indoctrinating their children. Our universities are no longer where there is open dialogue. Safe spaces and the shouting down of conservative opinions is all too common. The feminist agenda is pushing abortion on demand, parents are no longer informed when their underage child is having an abortion. Schools are passing out condoms to children and there are gay pride parades as if homosexuality is something to be celebrated. The number of Americans on food stamps is at an all-time high. Social Justice (also better known as Socialism) is the new buzz word that even our churches have adopted. Dependency on government is taking the place of American self reliance. The fibre of our country is being weakened as we are being destroyed from within. At every opportunity, the Left is pushing for more gun control by telling us they want to keep us safe. I think many of us know better as we want to be able to keep ourselves safe as we have watched while the defenseless Europeans are attacked and killed by terrorists. The answer to these and many other questions is in the following documentary film. Watching this one video will make it all crystal clear to you as you will understand how and why the Agenda of the Left is grinding down America. Acquitted of murder, tenured in academia, feted by the mayor’s wife in a ritzy setting made possible by the system she loathes. 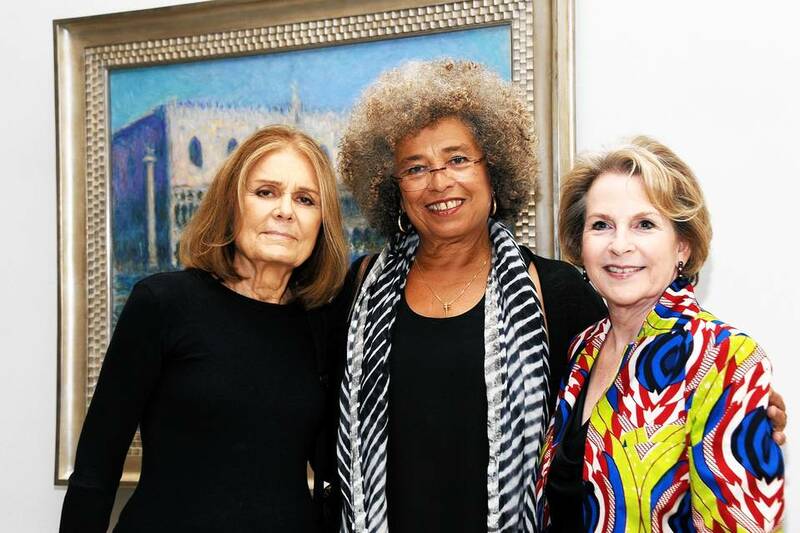 Angela Davis travels the world these days collecting honors. She once supported the Soviet invasions of Czechoslovakia and Afghanistan while refusing to speak up for political prisoners in socialist countries. Now she champions the Occupy and Black Lives Matter movements and derides the police and capitalist West, mouthing radical slogans that, if acted upon, would destroy the civilization that coddles her. Previous honorees include the novelist Toni Morrison, Miss Piggyand Anita Hill—pioneers all, no question. Ms. Davis is surely the first person to have parlayed an appearance on the FBI’s 10 most-wanted list into a tenured professorship at the University of California.